Pit Bulls and Other Animals....: I am poop-ed! My new glasses were too strong..I wasn't even going to get glasses, but opened up the dryer door and hit myself in the head. My poor glasses which were on their last legs flew across the room, 1/2 one way and 1/2 the other way. I tried to tape them together with electrical tape, but immediately got a headache due to offsetting my vision. I went to Lenscrafters and had to get my eyes re-examined since my last one was over three years ago. They upped my perscription and I got new glasses, but had that headache for the next few days. We were treated to tickets to see John Mellencamp and all I can remember is how blurry he was and how bad my head hurt. I finally went back today to change the perscription and can already tell a difference. It really hurt to write at the computer, so I cut back on the blogging, but kept up with the articles. I am so committed to writing these articles. It feels to me as if I miss writing an article a day, I'm missing an opportunity to help save a life. In the article today about networking is the story of two dogs and the people who try to save lives by tirelessly networking through Facebook and email lists. 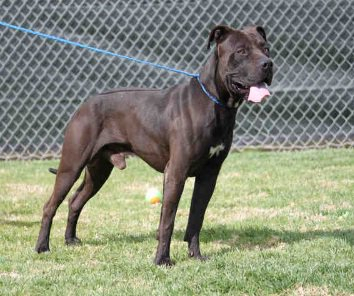 Onyx was euthanized and Roxy is going into rescue. This is the nature of the beast of rescue work. There is no payoff, at least for the truehearted. The Best Friends and huge groups who label their work as 'education' and 'outreach' are never ever seen on these lists. Occasionally, there will be an automated response. One funny day, a founder of a pit bull group actually responded and asked to be removed from rescue. I had to laugh. I thought they'd been removed from rescue years ago.